Check out what our couples have to say about their experience working with us. ATTENTION FUTURE CLIENTS: You are about to embark on a journey with the most phenomenal photographers in the business!! Your photos will be stunning! All of your concerns and qualms will be put at ease with their cheerful and pleasant energy! Lenny & Melissa are the absolute DREAM TEAM in Wedding Photography. They have a keen eye and a vision that will lead to the most SPECTACULAR shots you have ever seen. Their ability to capture the essence of a magical moment is compared to NONE! Lenny & Melissa are extremely professional. They know exactly what they are doing!! I would say they were experts on not only taking a great photo, but bringing out the best in you to deliver the best photo! They make you feel extremely comfortable and they have a knack for channeling your personalities and bringing them to life. Shooting with them was really fun. On the day of the wedding they went above and beyond our expectations. They were everywhere and nowhere...like photography ninjas!!! Just know that Lenny & Melissa will always go the extra step to make your most special day last FOREVER!! Thank you so much Lenny & Melissa!!! You truly made our day and now we have these moments captured perfectly forever!!! The process of planning our wedding was most definitely not always rainbows and butterflies! It was a lot of stress, compromising and making sacrifices, like not shopping for a new bag every weekend, haha. When you are as specific as I am - it is also very difficult to make a decision. Finding a photographer was probably our biggest and most important decision outside of our venue. We knew we had to work with Lenny and Melissa the second we looked at their work after endless hours of research. We found them about 6 months before our wedding, and could not imagine working with anyone else. One video chat and we knew they were the ones for us. Being so specific and having a different view on what a wedding should be, we wanted a photographer with a different style. Lenny and Melissa’s images were just real. Not those bright, over posed and forced shots you normally see. We wanted moody, candid, creative and different, and they do just that! We all had crazy schedules but we were able to meet up a month or so before our wedding and bond over wine and pizza. We got to know them and realized our similarities and it was just an easy interaction. We could tell how fun and easy going they were but also how passionate they were about photography. The day of was literally perfect and every image imaginable was captured. They were so amazing with their creativity and ideas and were so professional yet fun to work with. We were able to be our true selves throughout the day and Lenny and Melissa caught so many amazing shots. Considering the day FLEW it was amazing to see the day piece by piece and how our vision truly came alive. The images captured all the highlights, the best candids and all of the emotions! They really took us through the day moment by moment and it was so awesome to look at them together and see each others getting ready process and all of the moments we may have not truly taken in on the big day. They are seriously the nicest, creative and most fun people to work with and they are beyond talented. Not once was I concerned a photo was not captured or that they missed something and I never had to ask them to take pictures of something- they were 2 steps ahead of us all day! A wedding is one day that takes sometimes years to plan. All the stress and time and planning is so worth it, but it comes and goes in a blink of an eye. 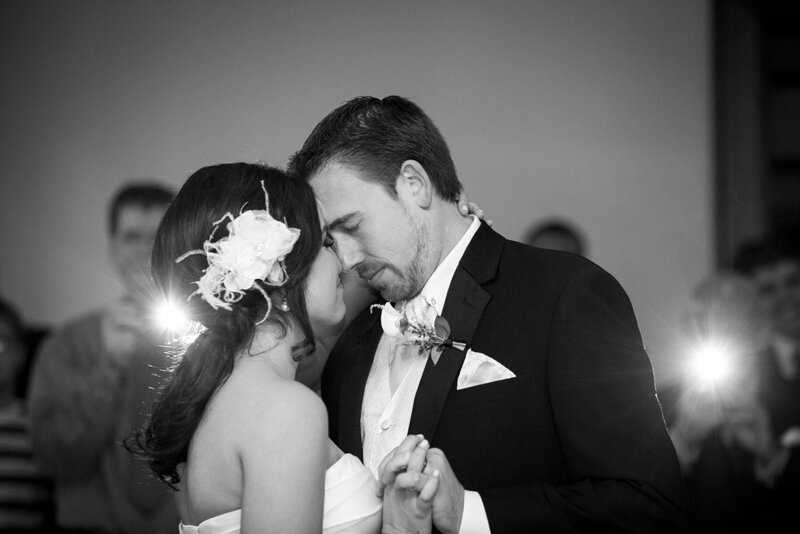 Our photos allow us to relive that day, moment by moment and they blew us away when we saw them. The creative twists they added to our images and the raw emotions Lenny and Melissa captured were everything we could have asked for and more! We are so happy we were able to work with such an amazing duo! Wedding planning always seems to have it's ups and downs. Finding Lenny & Melissa was nothing but ups! My mother showed me Lenny & Melissa’s magazine from a bridal show she attended and I fell in love with their photographs. I continued to check out their website and finally contacted them. Melissa responded to me quickly and we set up a time to video chat. She wanted to ensure that we clicked and had good chemistry. Upon chatting, Lenny & Melissa completely remembered my family from the bridal show! I couldn't believe it, as there are so many people that attend these shows. The more we chatted, the more I knew I wanted them to be our photographers. Lenny and my now husband had very similar personalities and I felt Melissa and I had very similar personalities as well. It felt like we all just clicked! Before we knew it, our wedding day was here! Lenny & Melissa had given us an awesome timeline after gathering information about our wedding day. They included great and helpful tips so we were 100% prepared on the big day (there were some things I would have never thought about.) The communication was so easy, informative and fast. The wedding day seemed to go by so quickly. We had so many fun memories with Lenny & Melissa! I couldn't have been more pleased with our choice. The more photographs we took, the more excited I got! I couldn't wait to see them!! And when I did.......AMAZING!!!!! I absolutely loved them!! Lenny & Melissa are great at what they do. My friends and family can't stop saying how amazing and beautiful my pictures are. My already married friends were jealous they didn't find them for their photos. I just can't say enough! They are phenomenal!! Thank you Lenny & Melissa for an amazing day and gifting me with incredible photos to relive it over and over again!!!! Lenny & Melissa made us so comfortable that we laughed pretty much throughout our entire day. Not only that but they were able to capture our true essence as a couple in each photograph. Future clients should know that they can be at ease when working with Lenny & Melissa. You are in perfect hands! They will encourage you to be yourself and bring out the best parts of you and your partner through their photos. While looking at our photos again at home both Kelvin and I agree that you guys were able to see us completely! They all look so natural, happy and in love. Be prepared to be blown away! L&M are seriously the best ever! They were so nice. From the moment I met them at the bridal show I knew I wanted them to be my wedding photographers. They made us feel so comfortable. Our engagement shoot was so much fun, and on our wedding day everyone loved them! I couldn’t have imagined things any better. Our pictures are AMAZING!! Their style is different and dramatic and exactly what I wanted our wedding photos to be. Their customer service is beyond amazing. Everything with them is an incredible experience from the photo shoots to the photo viewings. We have created such a bond with them that we couldn’t imagine our wedding day without them! We loved how fun, easygoing, caring and how creative L&M are. They made us feel soo comfortable. It felt like we’ve known each other forever. They even made my wedding party feel comfortable on the first day meeting with them. It was just instant. It was never weird, uncomfortable or awkward. It was just all truly amazing. Being able to have Lenny and Melissa as photographers is truly an experience in itself. Everything is so personalized with them. Melissa is so great about the details like outfits, looks, and the vibes for your photos. They work and compliment each other so well it’s soooo seamless. As stressing as the whole wedding planning process can be, they took the whole photography thing off of my plate and I trusted them 100 percent. I never had to worry about the “right shot” or specific shots. They just handled it all. I will ALWAYS recommend them for anyone not just as wedding photographers because they are capable of everything. Planning our wedding has been nerve wrecking at times, so nervous but so anxious to get everything done. We came across Lenny & Melissa Photography through an ad on Facebook. We were searching for Photographers and we had actually met with another company before hand and we just weren't pleased. When we walked into our first meeting with Lenny & Melissa, we instantly felt at ease, with how welcoming and pure they were. Just walking into their office we had made up our minds that they were who we wanted to capture all the beautiful moments. They were the people we wanted to be a part of our special day. Not long after our first meeting we planned our engagement photo shoot about a month later and we couldn't have been any happier with the outcome. Not only are Lenny & Melissa the sweetest people, but their vision is absolutely breathtaking. Our wedding isn't for another 8 months, but we honestly cant wait for all the beautiful moments Lenny & Melissa will capture. The moments that we will cherish for a lifetime… Both Lenny & Melissa are amazing people and they never make you feel like it’s their job and you're just clients. They make you feel like they've known you forever. It's honestly been our pleasure. Thank you both for opening up your beautiful vision and capturing such beautiful memories that we will have for a lifetime. Can’t wait for the wedding & to see what else you both have in store for us. We know its going to be absolutely amazing. You both have made this journey such a wonderful experience..
Lenny & Melissa brought such positive, happy energy to our day. too -- Lenny & Melissa managed to get it all! But best of all, it's heartwarming to watch Lenny & Melissa operate so solidly as a team and playing to each other's strengths -- a couple to learn from as you start your married life! It was one of the best wedding decisions we made, and we know you'd love working with them too. When we first met Lenny & Melissa it immediately felt right. Once we got to see and touch examples of their work and had the chance to connect with them in person we knew we were making one of the best decisions for the biggest day of our lives. 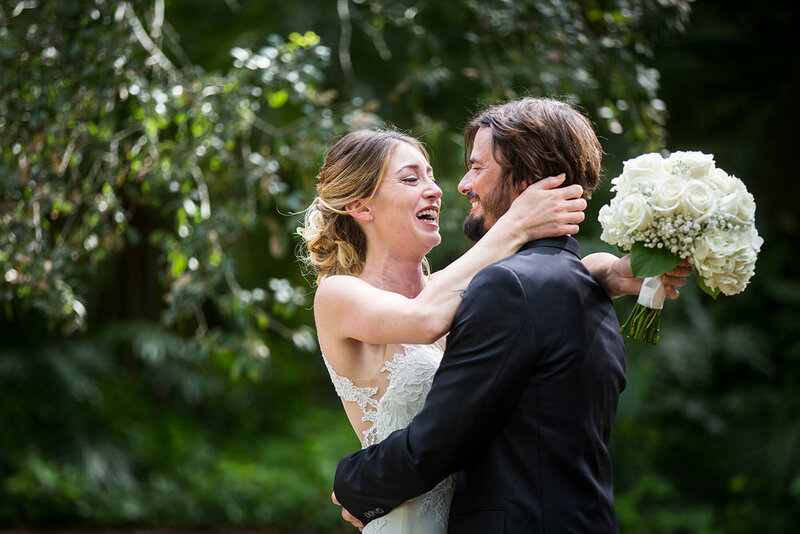 We wanted a chance to capture the moments of our day that we wouldn’t otherwise get to see as well as capture our happiness together so we can have them to look back on forever. After we met them our search stopped. We didn’t need to look any further. Their unique and dramatic approach to their work breathed a whole new level of excitement into our wedding planning process. If you are looking for photographs that will be timeless centerpieces for your family and home you do not need to look any further either. Not only will you be taken away by your photographs but you will immediately enjoy being in their company. Thank you for everything, you both are amazing! Besides the work being absolutely amazing our favorite part about working with Lenny & Melissa, was their personalities. Super down to earth, professional, funny, overall great vibes, good times, and good laughs. We chose them as our photographers because of the connection we had and we can honestly say we made two good friends in the process. We highly recommend Lenny & Melissa because they were amazing! Extremely reliable, professional, flexible, PATIENT, but above all great people to have around supporting you throughout the entire wedding planning period and the day of. Our most memorable and funny moments were when they were teaching us how to pose. Which we still use by the way! The experience we had with Lenny & Melissa is one of a kind. You get what you pay for and the quality of their work and products is outstanding. Invest in capturing your memories through pictures and video, because that day is going to fly and when I look back on it, it's all a blur, but I literally have so many great pictures to help me remember every detail of the best day of my life. DO IT!!! You won’t be disappointed! They have captured memories we will cherish forever. We loved shooting our engagement photos with Lenny and Melissa. When we weren't smiling and laughing on our own, L&M made us smile and laugh as well. They don't treat this as a job... it's clear that it's their passion. It's something they love doing and it really shows in their work. L&M became more than just our photographers. They became friends. They listened to us and talked to us about what we liked and what we wanted. Working with them on our wedding day was wonderful. They made everything flow so effortlessly. The pictures captured real moments and not just posed photos. The whole experience with L&M was awesome! Nat and I first met with L&M via FaceTime and we really hit it off. By the end of the conversation we felt like we knew them for years. We had already seen their work and as great as it was, we knew the people behind the work were just as great! From that moment on, we knew that we had found our photographers. That's when the real fun began... during our engagement shoot we didn't stop laughing. When it was time to work, L&M got the job done like true professionals. In between our engagement shoot and wedding, we got to know L&M even better. As I've said throughout this testimonial, we felt like we had more than our photographers for the wedding... we made two new friends. When we had questions about our day of timeline, music, etc. L&M were always quick to respond and walked us through any of our questions or doubts. They were, without question, the most accessible and helpful people throughout the process. On our big day, L&M showed up with a smile, ready to work. They kept everything and everyone organized without making the process feel like a job. This was the most special day of our lives and they captured so many incredible moments. When we came back from our honeymoon, L&M gave us the royal treatment as they showed us our photos. We were speechless. There were so many moments that we didn't remember as the wedding can be a blur. But thanks to L&M they found a way to capture everything... and because of that, we will have a lifetime of amazing memories! 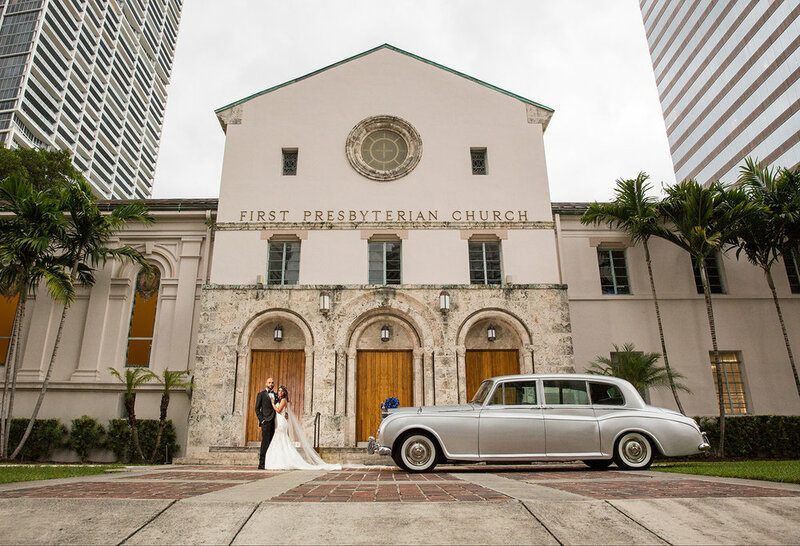 Lenny & Melissa are the Rolls Royce of wedding photography. They are top notch and we couldn't be happier with our decision to choose them as our wedding photographers! We felt comfortable, loved how our personalities clicked with theirs, and we had an amazing experience. 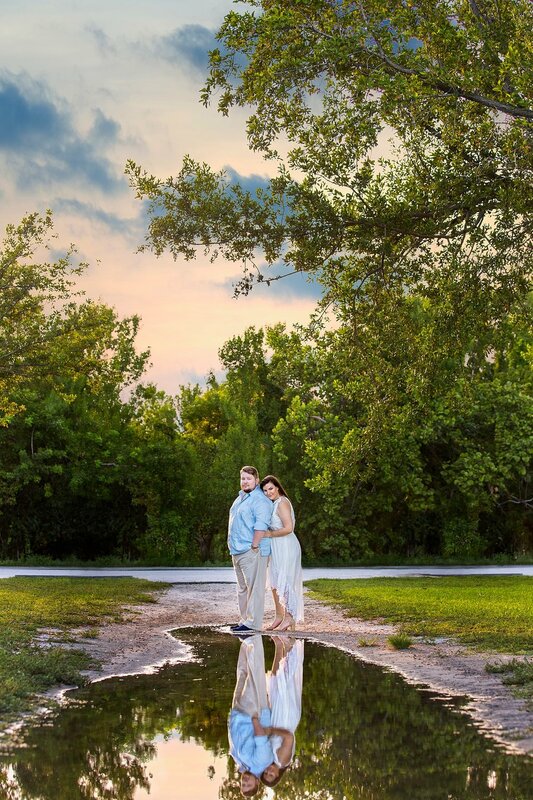 Their knowledge and experience are top of the class, and we were so extremely happy with the quality of our photos! Working with Lenny & Melissa was without a doubt an amazing experience! Mother Nature tried to throw a wrench in our plans for the day, and despite all the planning in advance and timelines, we had to change some things around! This included such a big change as having the ceremony and reception both inside the Lodge, with different layouts for each... we had initially planned on the ceremony being outside by the Gazebo. Lenny and Melissa worked with us through all the chaos and last-minute changes... They didn't miss a thing and all of the moments that made our day so special were captured by them! They even had a big clear umbrella on hand so we could get the outside shots we wanted! This all is of course in addition to them being genuinely an overall amazing couple to work with! They are great people and we definitely look forward to keeping in touch with them. Also, I can't leave out how meaningful it was for them to choose us as their first LM Wedding Giveaway winners! Them donating their time and talents so we could capture our wedding day in a way we would not have otherwise been able to do is a priceless gift that we will forever treasure. Looking back at the amazing photographs they took for both our engagement shots and our wedding day, it is clear that this duo has a talent unlike anything we've ever personally experienced. Our wedding day would not have been the same without Lenny and Melissa. They were such a pleasure to work with and helped us navigate through all that we wanted captured with such ease! I would hands-down recommend Lenny and Melissa to anyone. Their work is truly gorgeous and the effort they put into their work is unparalleled! I’m in tears. The images are stunning! Lenny & Melissa run a fine-tuned operation. They are dedicated to achieving excellent results while maintaining a comfortable atmosphere throughout the entire experience. We LOVE our wedding photos, prints and album. You guys are awesome! Planning my wedding was not only incredibly stressful, but it was also probably the most exciting time I've had in my life...and I owe the majority of that to Lenny & Melissa. I first met Lenny and Melissa at a bridal show about 11 months before my wedding date. They had beautiful albums and some larger display pictures and I immediately fell in love with their style. The dramatic and somewhat edgy feel of their captured moments totally reeled me in. So I approached them about an engagement photo shoot and I booked them immediately. There aren't enough words to describe how pleased we were with the engagement shoot. They allowed us to have 2 separate outfits, and 2 different locations in Miami. They spent the day with us making sure our photos came out perfect. About 2 weeks later, we were able to see the finished product and it blew our minds. My fiancé and I could not believe how amazing the pictures turned out. To this day, people comment all the time on my engagement photos. My wedding was set for 10 months later in October, and it was a destination wedding in the mountains of North Georgia. I was so happy when I saw my engagement photos, yet incredibly sad at the same time knowing that I would have to find new photographers who would be in Georgia for our wedding. Lenny and Melissa however, made no hesitation to travel for our wedding. They were super accommodating, and made my day so much more special. They even flew in 2 days BEFORE the wedding just to be there in case we wanted a photo shoot before saying "I do". I invited them to my rehearsal dinner as a thank you on the strict rule that they were NOT to work that night, but of course, being the professionals they are, they tried to photograph that event too. I could not have asked for a better experience. The day of your wedding goes by in the blink of an eye. All you're left with are memories and hopefully amazing pictures. Lenny & Melissa did not disappoint. They not only met but also exceeded my expectations. I will forever look at my wedding photos and smile, and I have Lenny and Melissa to thank for that. Going into wedding planning, we knew that photography was one of the most important things to us. Photos are forever, so we had high expectations. As we drove to Vizcaya for our session, we were nervous because we have never taken professional photographs before. We were unsure what to expect in terms of how to stand, where to stand, where to put our arms, where to put our legs, where to look, etc. However, as soon as we started, Lenny and Melissa made it so easy. They walked us through every single shot, telling us exactly what to do. They gave us tips and pointers throughout, and made the entire experience enjoyable! Our favorite part was actually the reveal! We had so much anticipation built up to see our first engagement photos and had no idea what to expect. The first thing Lenny and Melissa showed us was our custom slideshow. It gave us both goosebumps as we watched, and brought Jenn to tears. As we went through every single photo, we could both remember taking each one. We remembered what Lenny and Melissa told us for each shot, and we were able to relive the day through the photos. Although narrowing down the photos was very tough, we loved going through each and every one. The funniest moment was definitely when a mosquito landed on John's head during a pose. Jenn saw it, but held her pose and did not swat it away! After Lenny said he had the shot, she smacked the bug off John's head. Afterward, everyone said she should have done it as Lenny was shooting. It would have made for a pretty funny photo! Our engagement photos exceeded our expectations. We enjoyed every moment of the sessions, and we cannot wait to have the prints hanging on our walls. Lenny and Melissa are so accommodating, so encouraging, and they make you feel like models!! A picture is worth thousand words. When you look back on your first day as husband and wife, you're going to want your beautiful story to come to life. The picture books that Lenny and Melissa offer give you that perfect story for you to sit down with your grandchildren and reliving that perfect day. Not having this option and simply downloading your pictures at the end of the day can cost you precious memories if they just get lost in the cloud. Having Lenny and Melissa there with us on our wedding day will give us peace of mind to enjoy it to the fullest. They're extremely professional and will not let you down. They certainly did not disappoint. Let me start off by saying that there aren’t enough words as to how pleased and happy my husband and I are with their service. From the first meeting we knew Lenny & Melissa would be our wedding photographers.They love what they do and enjoy doing it. The product is beyond high quality and their service makes the images that much better.We highly recommend Lenny & Melissa as photographers for anyones wedding… If you want everlasting memories, this is who you book! Thank you again for everlasting memories. Thank you for giving me the wedding of my dreams! We actually had zero intentions of having an engagement shoot! But after we saw Lenny and Melissa's work at a bridal expo, we wanted to work with them SO badly because we loved their work. We planned a date for June and Melissa was in contact with us every step of the way. Whether it was sending outfit choices or changing where we wanted to do the shoot, Melissa was incredible. When it came to the actual day of the shoot, we have no words to express how much we loved working with Lenny and Melissa. They made us laugh the entire time, and I never once stressed about how a picture would look because I trusted them so much. We walked out of the session feeling like a million bucks, and we had made lifelong friends. When we received our pictures, I cried because of how incredible they were. They truly captured the love that Dan and I have for each other and I'm so happy to have these pictures forever. We heard about Lenny & Melissa through my cousin. She got married in August 2015. The day was beautiful but she did not have much to show for it as her photographer soon disappeared. It turned out more than 20 brides had gotten scammed by this photographer. The brides went to the news for help. Help arrived in the form of Lenny & Melissa! They saw the story online and soon reached out to the brides to see if they could be of assistance. My cousin soon had a beautiful album to remember her wedding day. She passed along their info and we knew we had to pay it forward by meeting with them. We instantly connected and knew they would be a great fit. We did not even meet with anyone else after them. Anyone that could do such an amazing deed was someone we wanted to work with! The photos they take are unique and dramatic. Their attention to detail is incomparable. They are quick to respond and accommodating to my crazy bride questions! We would highly recommend anyone doing a shoot with their photographer before the wedding. After our engagements shoot with Lenny & Melissa, it does not feel like we have the people we hired coming to take pictures, it feels like friends! We cannot wait to see the amazing memories they capture on our wedding day. The photos you guys took of us are all I ever go back and look at. It means more than you’ll ever know to have them. Our faces still hurt from laughing the entire time while working with Lenny & Melissa! Our funny and memorable moments are probably not blog appropriate...but some include Josh's solution to climbing up to sit on the tree branch that turned out to be a lot higher than we originally thought, learning how to turtle, singing the deliverance banjo song, seeing how alike Josh and Melissa are, Lenny and Josh getting ready for their very own photo session with their initials carved in the tree, and getting kicked out of every single place that we went! We had never done a photoshoot before, and I was especially nervous about getting professional makeup done prior—but with advice from Lenny & Melissa, we ended up having an absolute blast! Lenny and Melissa are so caring and truly love what they do. They will make you feel beautiful, comfortable, and they'll keep surprising you along the way. You'll have so much fun with the process! They went above and beyond for us, and they made our experience extremely special! Amazing people and incredibly talented photographers! I love how personal you both are, and detail oriented in your photography style. The most important thing for me was to make sure that Leo felt comfortable, he really dislikes the camera, but you guys made us feel like family! Seeing him collaborating because of how comfortable he felt was priceless! We were also very surprised when we found out that you had arrived to the place more than an hour prior to scout the area and find the best spots for our photos.. You guys rock! You are great photographers (very experienced and knowledgeable) and know how to work with people and make them comfortable. THANK YOU! Thank You guys so much! We are IN LOVE with the photos and had a great experience with you guys. We truly appreciate your kindness and hospitality. Also, the app is awesome! Thank you for that detail. You were apart of making our journey that much more memorable. We wish you two many blessings & safe travels. They captured the best photos of us and our guests on our wedding day! Both Lenny and Melissa knew what we wanted and delivered. We have the best photographs we could ever imagine. The day of our wedding was nervous and stressful, but they were there for whatever we needed! They are great! We absolutely love Lenny and Melissa! We did a video call and both my fiance and I vibed with them from the beginning! They were lighthearted and funny and interested in us as a couple and not just securing a job. 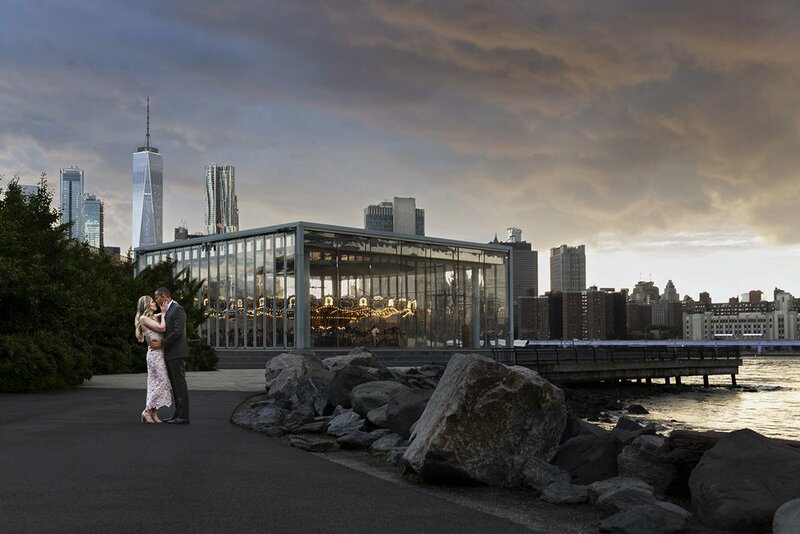 The engagement shoot only cemented our feelings about Lenny and Melissa. They kept us going! They made us so comfortable that we laughed pretty much throughout our entire session. Not only that but they were able to capture our true essence as couple in each photograph. We are anxiously awaiting our wedding day to shoot again with Lenny & Melissa and create new memories with them. Both of us loved how careful and creative they are. Nothing is rushed or done carelessly. Lenny has a pretty cool sense of humor and Melissa encourages/feeds into it. They compliment each other and work well together. They've created such a great team among each other its contagious. We are absolutely confident our wedding photos will be gorgeous. Both Marvin and I love candid photos. Lenny and Melissa exceeded our expectations. We're really looking forward to the wedding photos! There is nothing not to like about Lenny and Melissa. They are awesome! Lenny did a great job at making sure that Pierre was smiling and Melissa and I had the time of our day when Pierre decided to pretend to be doing a strip tease while Lenny was taking pictures from the other side. Best moment ever!!!!! We were EXCITEDDDDD about the engagement session. 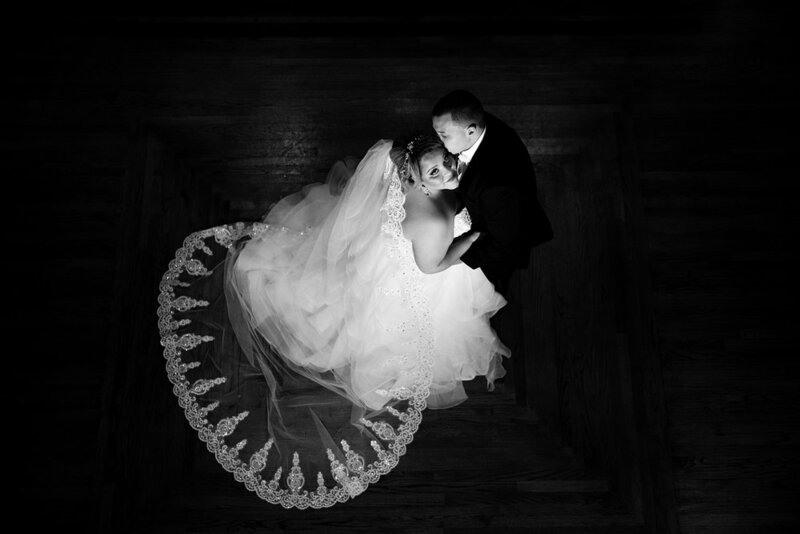 We chose Lenny and Melissa because of their attention to detail and the quality of pictures and we are very much overjoyed and pleased with the outcome. Our reveal was magical. Lenny & Melissa made me cry. I knew the pictures would be amazing, but they were AMAZING! I cannot wait for my wedding day. The perfection that was my engagement session and pictures has me mind blown and I have no doubt that Lenny & Melissa will probably kill me of happiness when these pictures will be revealed. To future clients, choosing Lenny & Melissa will be the best decision that you will have ever made for your wedding. We are talking about the best. Never a disappointment and always excitement and pride! You can actually show off your pictures and say: We did that! Choosing Lenny & Melissa as our photographers was the fastest and best decision we have made for our wedding. We found Lenny & Melissa at a bridal show, and didn't walk away for more than a minute before going back and booking with them. 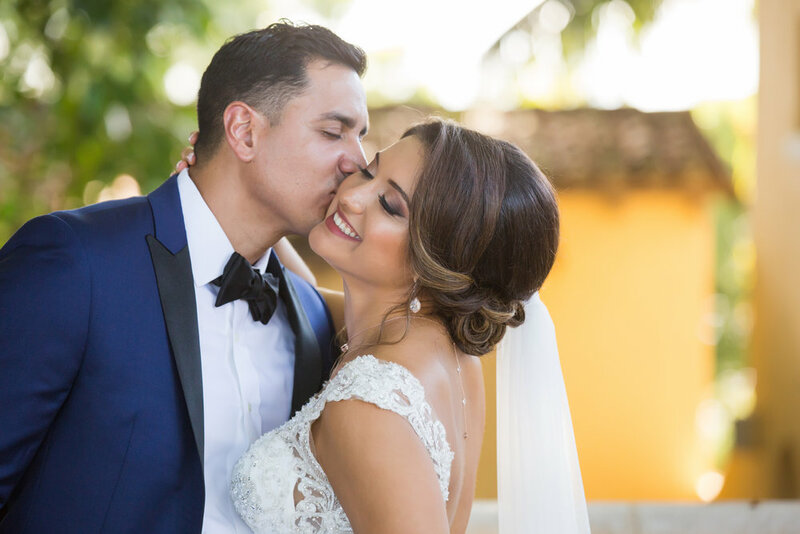 Just talking with Lenny & Melissa, you can feel their passion for what they do and how your wedding is just as important to them as it is to you. We wanted to plan our engagement session at a ski resort over an hour away, and they were more than willing to take the trip with us to our perfect spot. Each and every photo came out stunning and we couldn't be happier with our decision. They were able to capture genuine happiness in our photos and nothing felt staged, which was so important to us. Lenny & Melissa even gave us with a timeline for our wedding broken down to every step of the day. They were able to help with things we never even thought of, and we are so thankful for all their assistance. Working with Lenny & Melissa has been a pleasure and we honestly can't wait to see all the breathtaking moments they will capture. You will not be disappointed in your decision! We were recommended Lenny & Melissa by my sister who attended middle school with Lenny. I am so happy we listened to her and reached out! I was getting nervous about photographers, we had met with a few others, but none really were what we had in mind. We wanted to find a great photographer to capture our day so that we had beautiful photographs to look back on. When we met with Lenny & Melissa for the first time, they made us feel so comfortable and relaxed. Thirty minutes into that first session we knew that they would be our wedding photographers. Our engagement shoot was amazing, Lenny & Melissa were so great to work with. They even helped us to incorporate our dog into some of the pictures which meant so much to me. We are so happy with the results, each picture is more breathtaking than the one before. We can't wait to work with Lenny & Melissa on our wedding day. There is no doubt in our minds that they will be able to capture our wedding beautifully and we are so happy we will have these pictures to always look back on. Thank you Lenny & Melissa for capturing this monumental moment in our lives! We set out to start planning our wedding with as much time as possible and believe it or not, the first thing we booked was Lenny & Melissa. We came across them on a facebook ad and fell in love with their work. They were having a contest for a wedding photo package and we entered. While we were not the winners, after the contest we met with them on a video chat and they were so easy to get along with. We didn't even have to step foot in their office to know the vibe was right. We did shop around for other options but kept coming back to the same thing, we loved their energy and their vision that clearly shows through their work. We really couldn't imagine booking with anyone else! Without ever having met them in person we signed the contract and we have no regrets. The first time we actually saw them in person was at a local Wedding Expo and it was like we were already friends! Honestly, they are such great people to be around. The fact that they are based out of both South Florida and NY was such a plus for us living in NJ. 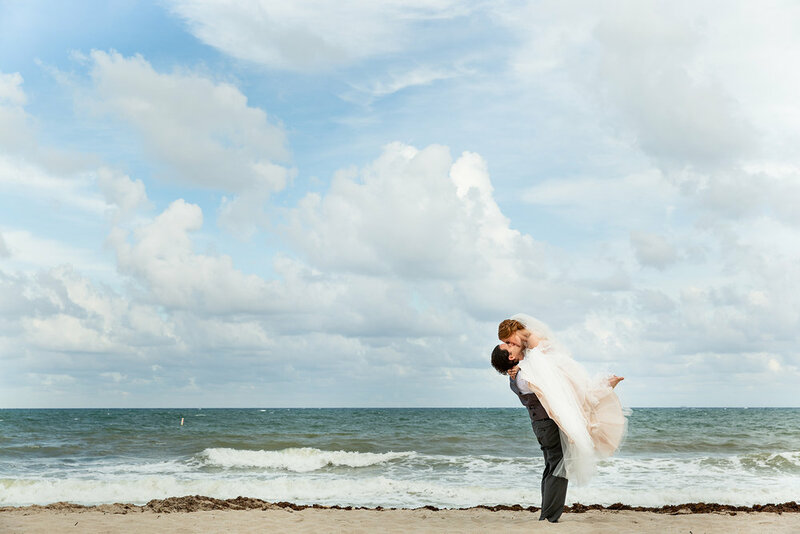 Having gotten engaged in Miami and not having any pictures to remember it by, we really wanted to make an engagement shoot out there happen and that is exactly what we did! We couldn't be happier with the outcome of our engagement session. Our wedding is in 6 months and I'm confident in the fact they'll capture our special day in usual Lenny & Melissa fashion. We can't wait! 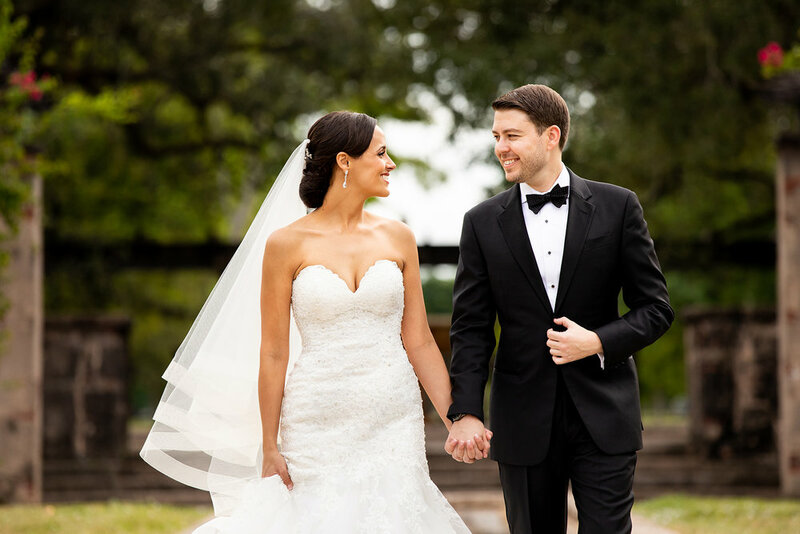 We can't tell you how much we have enjoyed the wedding planning process, and this is partly because we know that we found the best photographers out there! Lenny & Melissa are both a dream to work with, they both are so easy going and they make you feel like you've known them for years. We found Lenny & Melissa through Instagram and after looking at their beautiful pictures we reached out immediately. Meeting them we were a little nervous because we didn't know what to expect but they made us feel right at home from the beginning. During our engagement session they both took their time with Alex and I and we never felt rushed, or frustrated which we are so grateful for. Lenny & Melissa truly know how to capture amazing pictures and we can't wait to see how our wedding photos come out but we know that if they turn out anything like our engagement photos we will be over the moon. Aside from being excellent photographers, Lenny & Melissa also have such a high level professionalism that is not very easy to come by, I love knowing that if I have any questions or concerns, they will get back to me immediately. All in all, Alex and I are so happy we chose Lenny & Melissa we know we are in great hands.